I have been investigating options for moving my network to a pure IPv6 stack. The main issue here is ensuring that there is still connectivity to the IPv4 Internet after the move. The best options that I have found that support this configuration is the NAT64/DNS64 stack. Setting this up was a bit of a head-ache as the documentation was lacking for Tayga on Linux as a NAT64 router. That said, I had to follow the example strictly and I was able to replicate things on my OpenWRT 12.09 router. Setting up the DNS64 settings was much easier and things worked after that. I was able to ping and connect to the IPv4 world on my pure IPv6 network. Unfortunately, I had trouble connecting to the IPv6 Internet instead. Thing is that my Internet connection is still pure IPv4. So, I’m now investigating the possibility of running a DNS server that will not forward AAAA record lookups but things do not look good. There doesn’t seem to be any DNS server built with that feature. Looks like I’m going to have to roll my own. I might have to look at the feasibility of modifying the TOTD source, once I can find it though. These are the steps that I used to get SimpleSAMLphp running with WordPress on OpenShift. First, copy the files up to the server and decompress them. Then, just configure SimpleSAMLphp as usual. The only key thing to note is that the baseurlpath needs to be configured with a FULL path name. For some reason, SimpleSAMLphp was unable to detect that it was running behind a reverse proxy. One issue about hiring programmers is how to test their technical competencies. If you merely look at their CV, that is only part of the story. I would like to propose a simple way to actually test their ability to problem solve by writing a program. There are many on-line testing sites available. However, these are all language dependent. Therefore, a programmer’s experience in the language does make a difference. Hiring for a narrow language is a bad idea and it’s better to test on general logic capabilities. This is where I think that something like the LLVM intermediate language is useful. It is unlikely that anyone has ever learned to use that language before as it is exclusively generated by the compiler. Therefore, this eliminates any language bias that may inadvertently affect the candidates. To be fair, I think that the candidate should be assigned the tasks and given a suitable time frame to learn the language and complete the task as necessary. I believe that a one-week time-frame should be sufficient to learn enough of the language to write simple programs. This also tests the ability of the candidate to pick up new languages, which is a necessity in our line. It is also a powerful enough language to do anything. So, the programming tests can be designed to be as easy or as complicated as necessary. Furthermore, it is an actual programming language that can be compiled into real machine code. This allows the written programs to be tested for functionality as well as performance. It is possible to throw a barrage of test cases at the generated application to see how it performs. The entire system can even be run in a sandbox. The only thing that is needed then, is an interface to the system. Technically speaking, the candidates can use whatever text editor that they want, and they would only need to upload the code to a centralised testing server, which would then compile and test the code. For testing digital design skills, an equivalent method can be drawn from using a dead meta language like Confluent. It is, again, highly unlikely that any person has had much experience with the language. The output can be used to generate syntactically correct Verilog/VHDL and tested with standard tools. I think that this would be a cool project to work on, if I only had the time. Maybe it’s time to hire another intern to do it. I had at first tried installing lts-raring hardware enablement but that did not solve the problem and created new ones with my hardware. According to the bug-report, the problem was solved in Mesa 9.1.5 but lts-raring came with 9.1.4 only. So, I downgraded back to lts-quantal and looked for another solution. This would install the Mesa 9.1.6 and Intel drivers, which solved the problem. 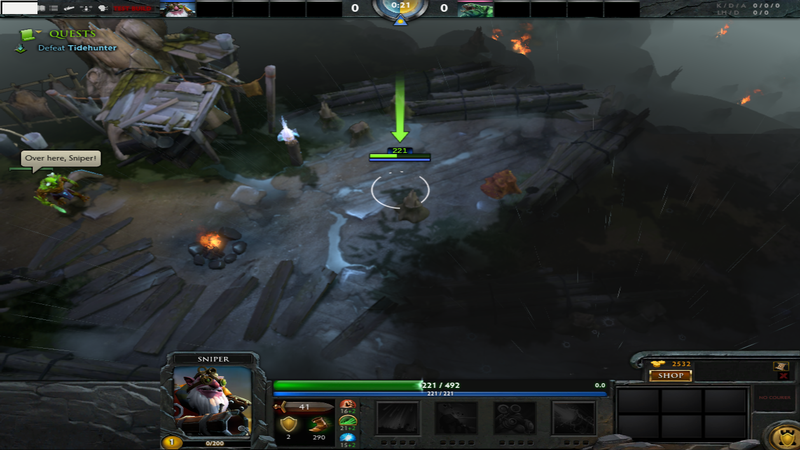 Now, I get to experience Dota2 in all its glory! I faced the same Quantal to Raring upgrade problem on Ubuntu 12.04 LTS with Hardware Enablement as reported here. That was it. Upgraded to LTS-Raring hardware enablement kernel and Xorg. PS: The only issue with this upgrade was that I lost back-light control on my XPS13 laptop as reported here.